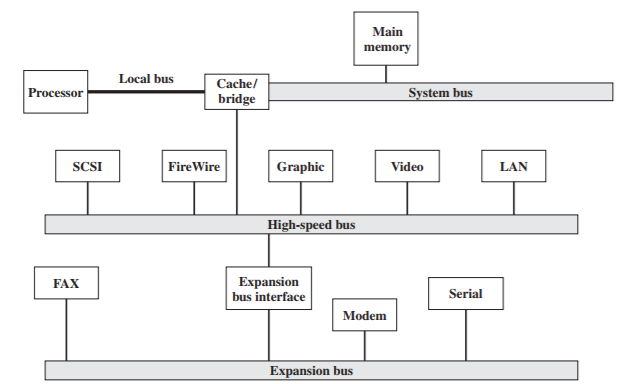 What is Computer Architecture and how do I know if a software (game engine) meet the scope and the standards of my computer architecture? You are trying to find out if you have 32 bit or 64 bit OS? Are you in Windows? I actually don't know what computer architecture means. I have Ubuntu 12.04, 32-bit probably. I don't know what the context is, but the term itself is self-explainatory. It's basically how the hardware is designed and connected. If you really want to learn about it, I can recommend a book I used. It's about high level architecture, and will give you a good idea about how a computer works. It's called "Computer Organization and Architecture" by William Stallings. That was extracted from the book I mentioned. 'Computer Architecture' is just a complicated sounding phrase to describe the basic software and hardware componants that make up your overall machine, and the programs that are compatible with it. Since you're using the older version of Ubuntu, would dual booting with Windows be an option? If I say that my computer have x86 (or 32 bit?) architecture, will it make sense? @techd00d89 I don't want to dual boot. I actually want to know if my computer architecture supports a software (it's a game engine). For all we know, the operating system was designed to run on a 32 bit processor. That doesn't mean your processor can't handle a 64 bit OS. The word length mostly defines the processor architecture, and doesn't necessarily affect the entire computer's architecture. Why don't you give us your full specifications, and the name of the specific software you want to use? If you want to understand what the requirements and specifications mean, we can help you with that too, but first things first. We would need to know CPU, RAM, GPU (if you have one), OS, available storage space, name of the software and any other thing you think could be relevant. I think I wasn't able to explain what I was saying. I'm already using the software (from about a year) that I was talking about. And it works perfectly. So does that mean that my computer architecture supports that software? Define "support". If by "support" you mean "works", then I have no other choice but to say yes. If your computer architecture supports a certain operating system, and if then, the operating system supports this software you speak of, then you'll be able to use it. So, if I had to give a direct answer to this peculiar question, it would be a no, since the operating system is what acts as a "link" between the software and the hardware, so the software would have to be supported by the operating system, not your hardware directly. The post is a bit long, but I think it makes sense.